Tickets: $6 for non-members; $5 for museum members (plus HST). Advance tickets recommended. “Above the Bush” celebrates those mountain climbers willing to persevere through the primeval vegetation to get to the wonderful alpine playground beyond. This illustrated talk by Lindsay Elms, based on the book of the same name, will look at the rich, and sometimes forgotten, climbing history of many important mountains on Vancouver Island. 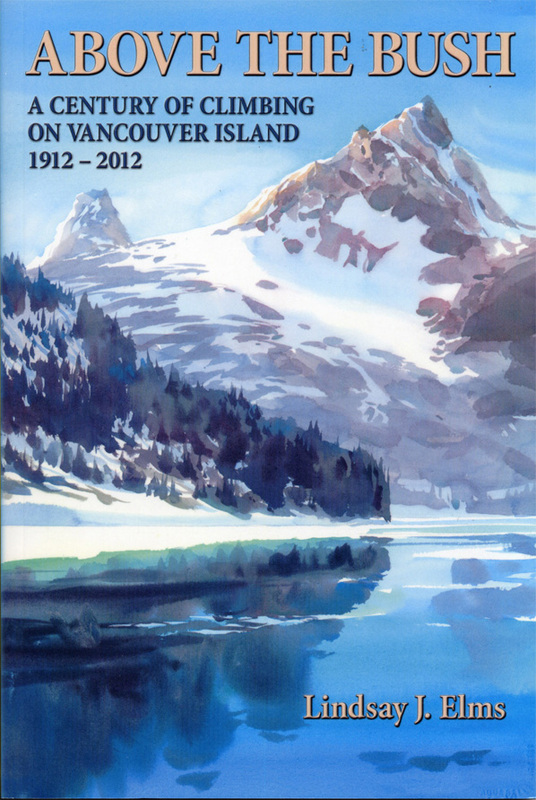 “Above the Bush” was written to commemorate the centenary of the Alpine Club of Canada’s Vancouver Island Section in 2012. The book contains transcripts of journal entries, diaries and newspaper accounts of early ascents of some of the most prominent mountains on Vancouver Island. In addition, Lindsay Elms has written about the climbing history of: the Mackenzie Range, Nine Peaks, Mariner Mountain, Rambler Peak, Mount Cobb, Conuma Peak, Victoria Peak and more. 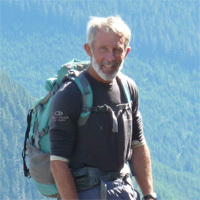 Since arriving on Vancouver Island in 1989 Elms has climbed over two hundred and fifty of the island’s peaks including a twenty-four hour round trip ascent of The Golden Hinde, a four hour ascent of Elkhorn and numerous other speed ascents, however, he has also climbed many of the lesser known and rarely visited north island peaks. Elms lives in Comox and has published two books: “Beyond Nootka” (1996) and “Above the Bush” (2012). He continues to collect stories and photographs about the history of mountaineering on Vancouver Island. Copies of “Above the Bush: A Century of Climbing on Vancouver Island 1912-2012” will be available for purchase and signing after the lecture. Copies are $25 each plus GST and payment can be made by cash or cheque only. Admission to the evening is $5 per Historical Society member; $6 non-members (plus HST). Advance tickets are recommended. The Courtenay and District Museum is located at 207 Fourth Street in downtown Courtenay. FMI: 250-334-0686.